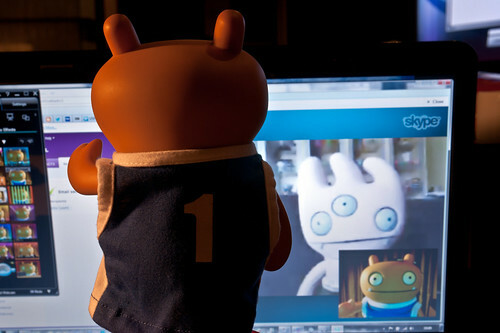 Uglyworld #1619 - Skyperoo (Project TW - Image 204-366), a photo by www.bazpics.com on Flickr. One of the besterests tools that I has to keepers in touch withs Tray backs home in Aachen is Skyperoo, as it letters us sees and speakers with each others so easilies! Of course, I would much rathers be homes there in the cookie cave withs Tray, but this is the nexts best thing, and it shoulds only be a coupler more weekies untils I is backs home anyways.